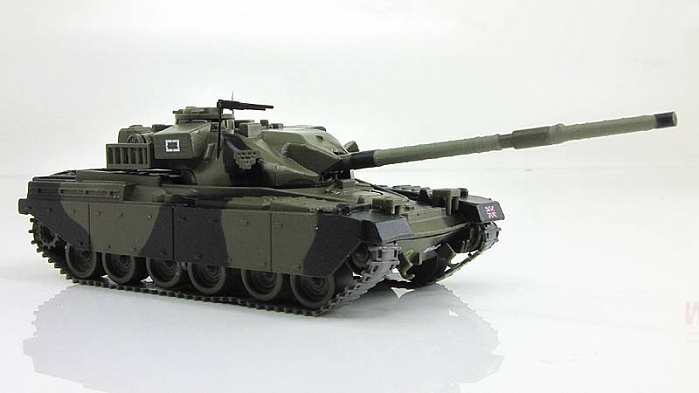 Chieftain Mk.5 - Final production variant, with upgrades to the engine and NBC protection system. Like its European competitors, the Chieftain found a large export market in the Middle East, but unlike the earlier Centurion, it was not adopted by any other NATO or Commonwealth countries. The Chieftain proved itself capable in combat and able to be upgraded with enhancements both for overall improvement and to meet local requirements. 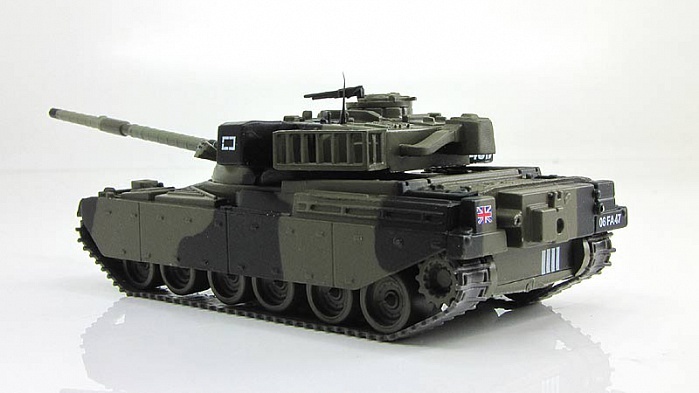 The Chieftain tanks were continuously upgraded until the early 1990s when they were replaced by the Challenger series of tanks whose design was influenced by that of Chieftain. 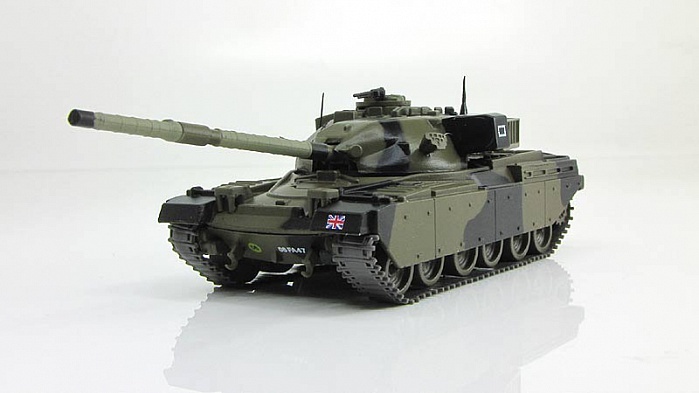 The final Chieftain version used by the British Army until 1995, incorporated "Stillbrew" armour named after Colonel Still and John Brewer from the Military Vehicles and Engineering Establishment (MVEE), the Improved Fire Control System (IFCS) and the Thermal Observation Gunnery Sight (TOGS). The first Chieftain model was introduced in 1967. Chieftains were supplied to at least six countries, including Iran, Kuwait, Oman and Jordan. An agreement for sale of Chieftains to Israel was cancelled by the British Government in 1969. The largest foreign sale was to Iran, which took delivery of 707 Mk-3P and Mk-5P, 125–189 FV-4030-1, 41 ARV and 14 AVLB before the 1979 revolution. Further planned deliveries of the more capable 4030 series were cancelled at that point. The tank's main combat experience was in the Iran–Iraq War of 1980-88.